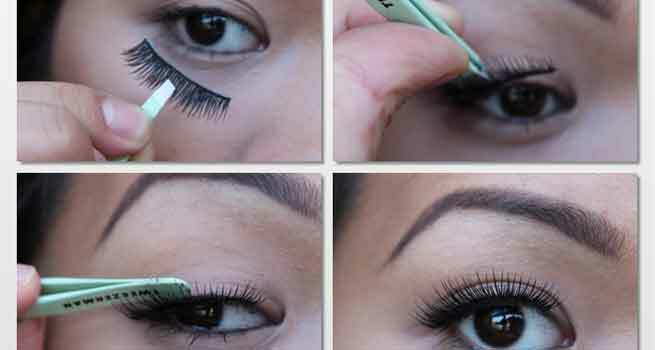 How To Apply Fake Eyelashes ? It’s no secret that the more curved the eyelash band will be, the easier it will be for you to apply them. Also in case if you think you overdid it, it’s easier to apply a heavily curved false eyelash on to your eyes. 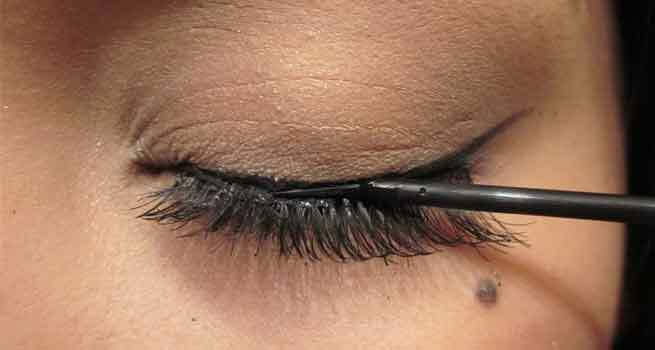 This better than trying to pin down both the ends of some eyelash that happens to be too straight. Remember that these lashes that are not made completely of human hair will not bend as easily because it will be stiffer. There is a considerable difference between synthetic and human hair eyelashes. This is completely the way to be, because of the simple fact that oil makes it extremely hard for the adhesive to stick to the lash band and then to your eyes. It is akin to trying to make some tape stick on to a forehead that’s likely to be greasy. If someone however happens to naturally have oily eyelids, the. Be sure to blot the excess oil with some oil blotting sheets. While re-using your lashes, don’t ever remove them with oil-based makeup remover as the oil will remain within the lash, making it hard for you to stick them back on again. If you’re new to using false eyelashes, be aware of the mirror placement as the stability plays a huge role in successfully applying them. Most people will apply their lashes while standing in front of the bathroom mirror or sitting someplace which is not ideal. 1) Lay a mirror onto a table and, with your elbows on either side of it, look down into the mirror with your false lash all glued up and ready to apply. This angle will provide you the perfect view of where to apply the lashes. Try it out and thank us later. 2) Now, in the second method, Instead of a hand mirror, you could use a swivel mirror and place it just a little beneath your face. Then, adjust the angle accordingly and also prop your elbows up on the table for some support. Remember to place your mirror somewhere below your face so you know where your natural eyelashes are and where the false lashes should be. 3) If you probably can’t stop shaking, then you go ahead and plant your chin onto the table as well. 4) It would be a good idea to make half lashes your friend. This is because they are so much more shorter in width and they cover the outer half of your eye so they get stuck on your eyes quickly and easily. 1. As a half lash. 2. Cutting it up into two or three sections. Tip: People having thick lashes might have a difficult time doing this so don’t get paranoid if you don’t get it right the first time.